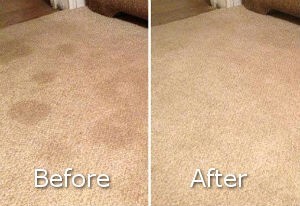 Every carpet requires professional cleaning a few times in the year to be in top condition and be used for a long time. Cleaning it yourself requires a lot of time, attention and probably more effort than you want to put in the process. Perhaps it’s time to try the professional help that we offer! If you decide to put your carpets in professional hands, get in touch with our company, located in SW13 Barnes to order the carpet cleaning service! We promise you impressive results on affordable prices, done by experienced professional cleaning experts! Our team of cleaning specialists will cope with the work effectively and ensure the impeccable appearance of your carpets. They will extract all stains, dirty patches, bad odors and soiling, using powerful and effective machines and solutions. The carpet cleaning which we provide can be used in domestic and commercial estates – basically everywhere in Barnes, where carpets are part of the interior! Our carpet cleaning procedure starts with initial inspection of the carpet. Our technicians will provide either hot water extraction or dry powder cleaning on the carpet depending on its type and condition. They will pre-treat blemishes and dirty marks with suitable cleaning solution to remove them thoroughly. Then the carpet will be sanitised with steam or dry cleaners to be disinfected in depth and its real colors to be restored. Our employees are trained to apply steam and dry cleaning using advances machines, effective cleaning solutions and dry powder. 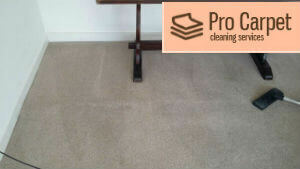 In the end, after being cleaned, every carpet is sprayed with refreshing deodorisers protective sprays. We work to achieve the best results, and we want to make each customer’s expectations meet the results we provide! We can deliver excellent carpet cleaning service of Persian, oriental, wall to wall carpets of any size, condition and fabric. Our cleaning technicians know how to do the work professionally and well, leaving spotless and impeccable carpets. The methods and techniques they use are in no way harmful to the fabrics and colors of your carpets and will in no way damage their condition! You can only benefit from our carpet cleaning service! For the perfect results, we use only modern and specialized machines and nature-friendly cleaning solutions. We are armed to teeth to win the battle against dirt, grime, dust mites, dirty patches and every enemy of a beautiful carpet! You can find our services also in Mortlake, and . Our friendly co-workers in the customer support team are constantly ready to hear from you and give you more information about the carpet cleaning service that we offer. The booking process is a child’s play, so you should take advantage of our hot prices! 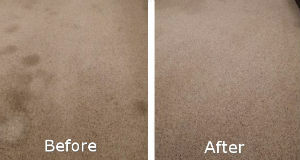 Use our affordable carpet cleaning services which we offer in and near Barnes during the whole week. You can find our services also in Putney, Roehampton and Mortlake. Our staff can clean the carpets in hotels, houses, flats, restaurants, rented estates and other residential and commercial properties. You don’t need to worry about the condition of your carpets anymore! A lot of our customers call us regularly with a carpet cleaning task for us. Every time a person calls us again, that makes us feel proud that we successfully gained their trust and we motivate ourselves even more! You are safe with our carpet cleaning service and this decision is the best for your carpets! We expect to hear from you soon!